I’m a big fan of florals, and an even bigger fan of blush pink, especially this super cozy sweater which makes this a damn near perfect dressed up casual look for me. Florals can be stereotyped as a spring and summer only kind of print which makes it hard for some people to wear all year round, but for this week’s Trendy Tuesday I’m here to tell you florals are great any time and I’ll give you some tips for how to wear florals all year. A great way to wear florals all year is to mix light and dark colours, or play it safe by keeping to a darker pallet in the colder months. Generally I look at the different colours within the floral pattern and add an over piece in one of those colours. If you have a darker floral print with some lighter tones like the one pictured below you can pair it with a pink or tan over piece whether that be a sweater, cardigan, blazer, or chunky scarf. You can also do the reverse and have a lighter floral print with some darker over pieces. Think outside the box with your pairings. The outfit below is fairly basic with a floral tank with jeans and an oversized sweater, but don’t be afraid to mix it up a bit. One of my all time favourite way to wear florals in the winter is to wear a cute floral dress underneath a longer sweater – it’s super cute! 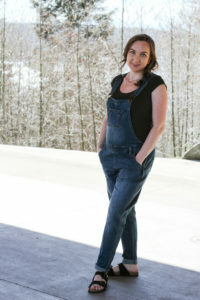 You could also use more layers and pair a long sleeve shirt underneath a floral tank or dress, and you could also use a large scarf as a shawl. You could also pair some floral leggings with some of your favourite tops and sweaters, or ease into it by wearing items with floral accents like a scarf, handbag, or belt. 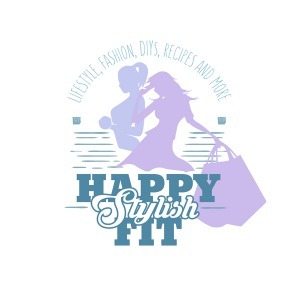 Receive monthly updates about all things Happy Stylish Fit. Don’t be afraid to mix it up a little and go against the traditional trends. Florals and white can be worn all year round regardless of what some naysayers might say. Thanks Shannon, I totally agree! I love this top! It’s soooo pretty! Great tips! I love florals! Thanks Brooke, I love florals too! I love the tip about thinking outside the box. This is a gorgeous look the soft pink mixed with florals is so unique, something I haven’t tried yet! Thanks Jodi-Kay. I’m really loving the print, and love that it works all year round!! Love how you styled this! I totally wear florals year-round too! I absolutely adore that foral top! I need one! This post is super helpful! especially now that floral embroidery is going to be huge this year. Thanks Yasi! I’m loving the floral embroidery trend right now. Very cute!! I love blush pink as well. However, I am one of those people who love to wear florals only in Spring!! I can’t help it. Habit. I will try after looking at your looks. That’s totally fair, most people are spring only, but it’s fun to go outside the box!